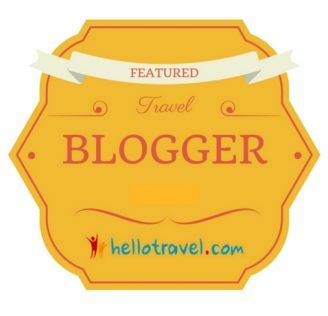 Portugal: Lisbon, Sintra, Faro for best European trip! Home Food & TravelObrigado Lisbon, Portugal for the best European trip ever! 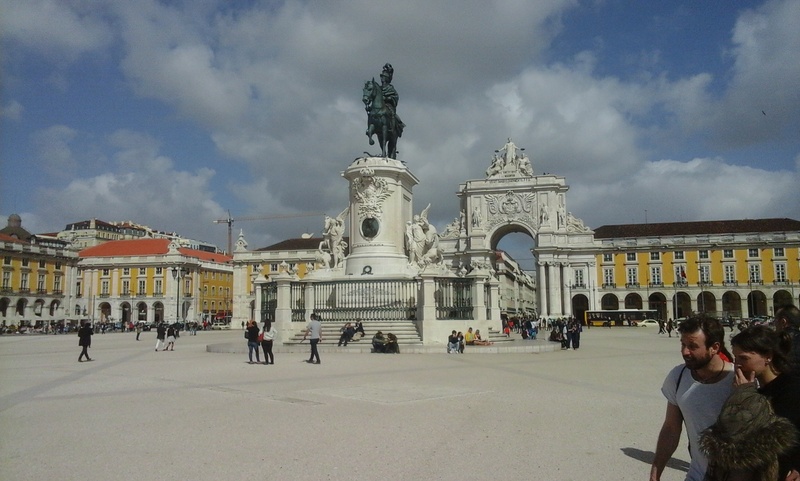 MilanKaRaja in Lisbon, the beautiful port city of discovery. Obrigado (Thank you) in Portuguese was all I could say during my best European trip ever in Lisbon, Portugal. Traveling to Portugal from India directly would have been great fun. But traveling to Portugal after living 6 years in Italy was a very different feeling. Portugal and India have a strong historical bond, that is surprisingly celebrated even now in Lisbon, as our City sightseeing red bus (You can see it in the picture above), pauses the enchanting Fado music, to narrate the story of the great Vasco Da Gama and his discovery of India. Fado music has it’s origins from back in the day when many Portuguese men would venture out in the sea exploring the world. The melancholic voice of a woman singing about her lost love can be so relaxing. The Portuguese sing every where, at home, in the streets of Lisbon and also in the private apartment in front of my Airbnb in Faro. 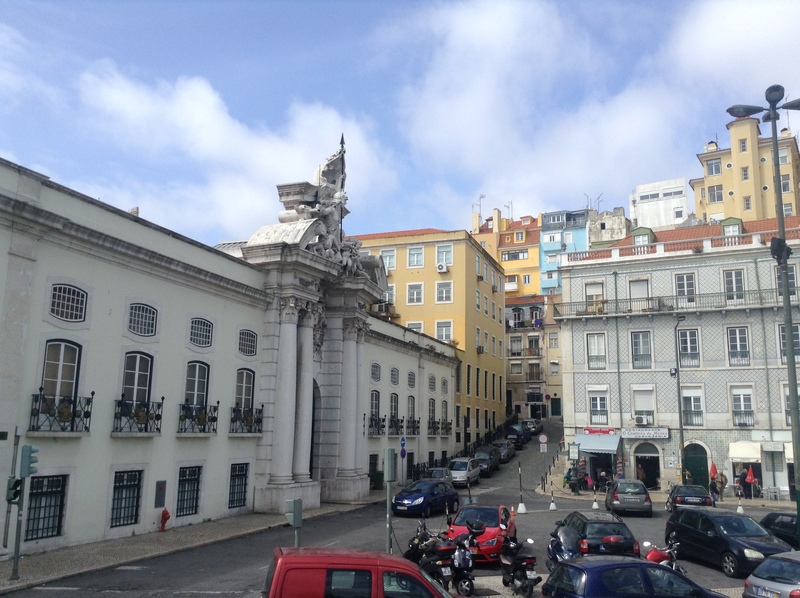 Lisbon, Portugal is so beautiful that it even made me want to leave la mia dolce vita (my sweet life) in Milano to enjoy some farm fresh frango (Chicken) and the best juicy sardines from the Atlantic while not missing out on the luxuries of good wine. From the bustling city center in Lisbon to the rural country side in sunny coastal Faro, I would love every thing about Portugal. Even in the train, I would eat a chicken cutlet sandwich that was not warmed up. I would never do that in Italy, but the Frango in Portugal was spiced just right for the Indian taste bud. Joining me was my beautiful travel companion from Brittany, France. Together as a team, we speak English, French, Hindi, Italian, Spanish, Telugu and Urdu as of now. We would meet up the coolest Lisbon locals who would help us evade the typical tourist traps, taking us directly to eat the best authentic local food, that too at the best price. Drinks in Portugal means Gin time these days with this classy MUST VISIT place called the Gin Lovers. Just look at the pictures and you will thank me later. Vasco Da Gama, the Portuguese explorer was the first European to visit India by sea. 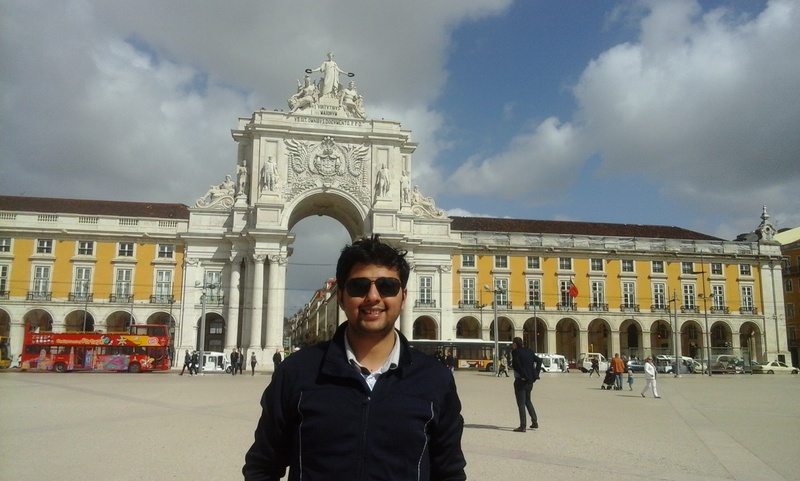 Fast forward to 2017, an Indian living in Italy, the land of Christopher Columbus, makes plans to discover Portugal for his very first time. That smile on my face brings back memories of a great trip from New Delhi to Goa during collage. Yes, I am more familiar to Portuguese culture than you think. Not only have I traveled to Goa, a former 500 years old Portuguese colony in India, but have spent good childhood years in Kerala, living in Cochin. Frequent visits to St Francis Church, Kochi in my childhood taught me a lot about the great explorer Vasco Da Gama who was finally buried in this church after he died in 1524 on his third visit to India. My trip to Lisbon from Milan was originally planned via Brussels, but due to unexpected circumstances, I found myself crossing over all the way from Liege in Wallonia to Ostend-Bruges in Flanders to catch the last seat in the flight to Lisbon. Milan to Brussels to Lisbon became: Milan to Liege + over priced Taxi to train station + Train to North Belgium Ostend-Bruges(with help from a nice friendly local who helped me book the tickets at the station without the intention of scamming me) + Bus to the airport + 2 hour wait with loads of travelers in a little airport. I wont complain much, as not only was I completely refunded for my troubles by Brussels Airlines (Taxi fare + Train tickets + bus ticket), they managed to get me at my final destination comforted with a seat in business class in TAP Airlines (Portuguese Airlines). My first ever Business class trip after literally covering not just a country but en entire continent. 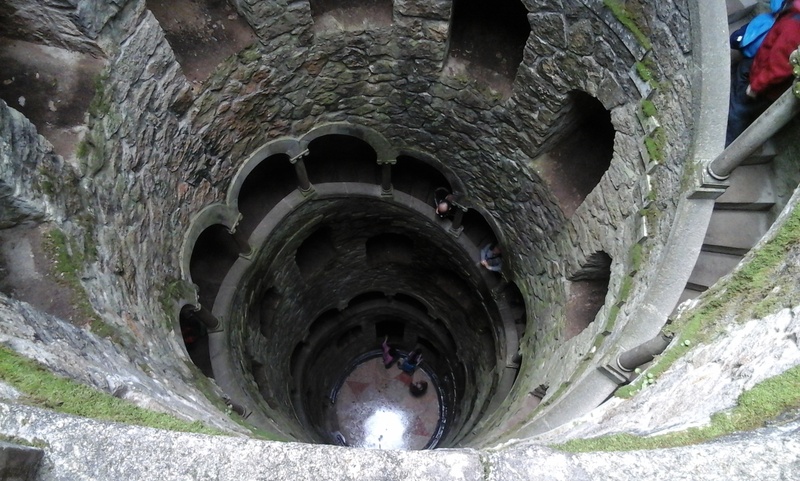 Let me explain my complex trip to Portugal. Starting from the land where they speak Italian to the land of French speaking Belgium. Next, a train to the Dutch speaking part of Belgium to only end up being spoilt by the best of Portuguese air hospitality. 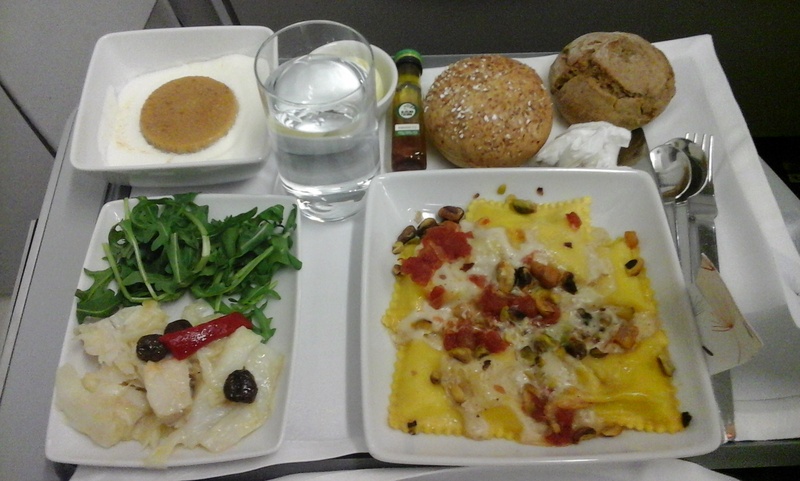 The crew of TAP airlines were obliged to treat me special as a Business class passenger. I wonder if they knew that I was upgraded by the awesome staff in Flanders Ostende Airport. They really did their best that busy day. The funny thing that day was me even attempting a maverick journey like that to travel all across Belgium to catch a flight in time. Vasco Da Gama traveled south reaching below the cape of good hope in South Africa before he reached north east of Africa and then to South India while taking help of the ruler of Malindi (present day Kenya) and the great Arab navigator Ahmed Ibn Majid, to show the explorers the route to India. Mean while , I found myself reaching Liege and taking the help of a cool Arab Taxi driver who helped me quite a bit in realizing that Ostend- Bruges was actually all across the other end of the country and that it would be better and cheaper if I juts took the train from the train station. He did that speaking in French to some one who has a real tough time saying Bonjour and always prefers to say Ciao with a wink. He did try to over price me though and but was quite easily prepared to bring down the amount upon me bargaining like a typical Indian. Our conversation reminiscent of conversation between the great explorers, navigators and sea faring merchants of that time who would often hang around India, Indonesia, Persian gulf or across the sandy beaches of east Africa. 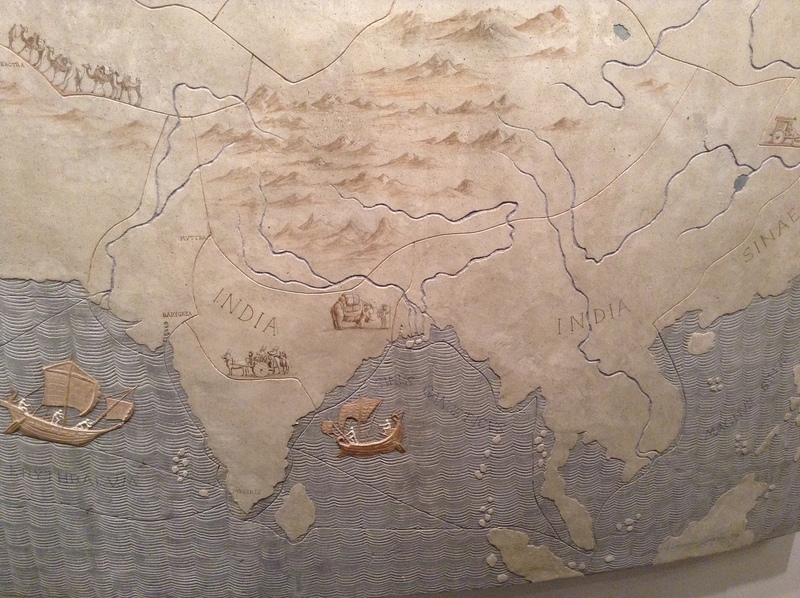 A trip to the National Museum in Rome would enlighten me of the historical Roman trade with many Indian ports and beyond that was thriving until the demise of the great empire. Lisbon had great vibes. I love coastal cities, they are always special. Maybe the influx of people over ages brings all the coolest people over to a coastal port city. Wading through the busy evening streets, we find ourselves in a little street with history written all over it. Our Airbnb hostess invites us to climb up 3 storeys on wooden steps that seemed to belong in one of Vasco Da Gama’s old ships. I gasped for my breath as I carried our week long luggage across the tiny wooden steps. Had to climb three floors to finally reach our beautiful little Portuguese apartment. 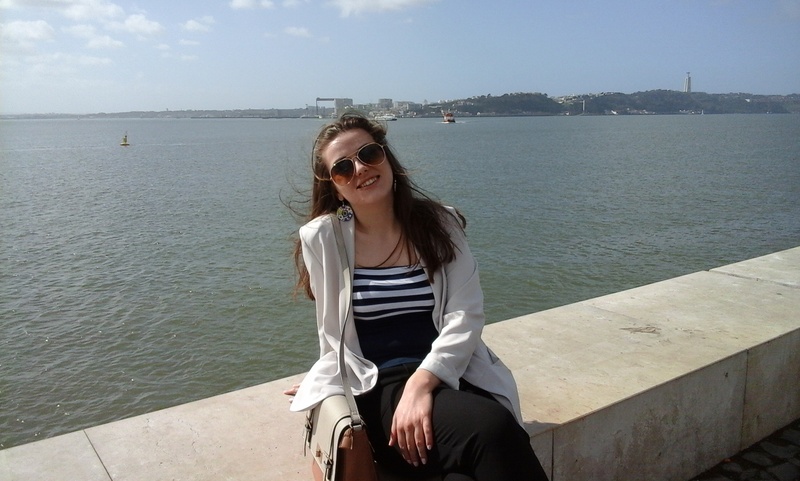 Our Airbnb landlady would further entertain us with an introduction to Lisbon city and Portuguese culture. Like a typical coastal nation citizen, she takes out an old paper map. As she reads out some Portuguese names of the areas around, we get interested and take notes. The next day you would find me jumping in joy around the coast. I was absolutely loving my holiday in a country which helped make Goa fun. 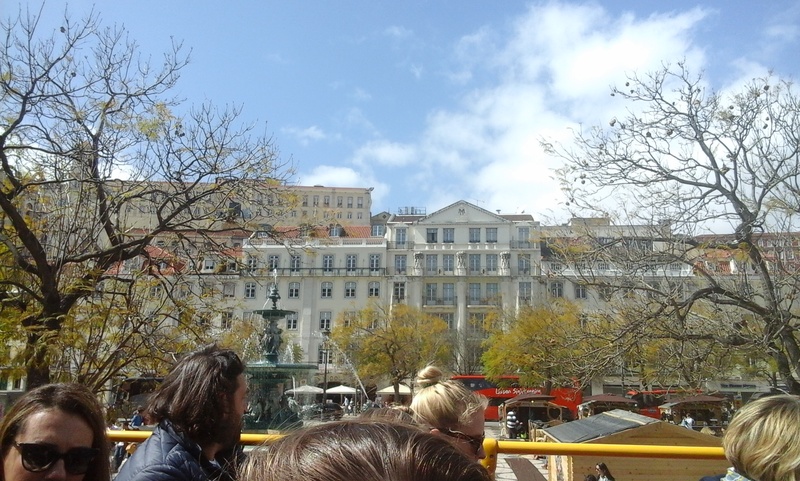 We took the city sightseeing bus service that would play beautiful fado music while educating us about Lisbon. I was awestruck listening about its glorious history on top of the bus. 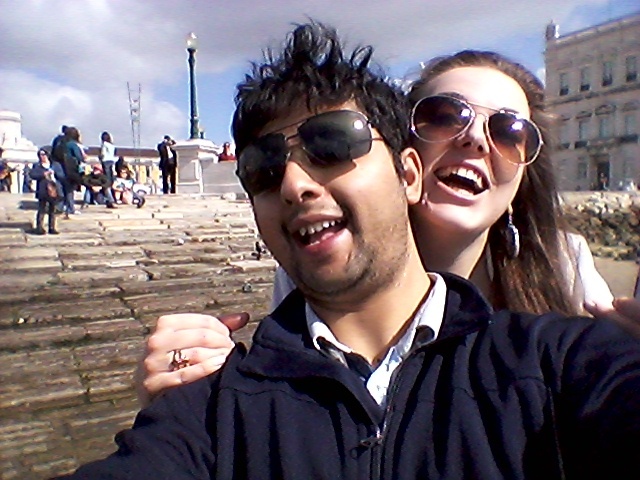 Walking across Lisbon was great fun. Paradise is sunny weather and regular supply of Codfish Cakes (Pasteis de Bacalhau). 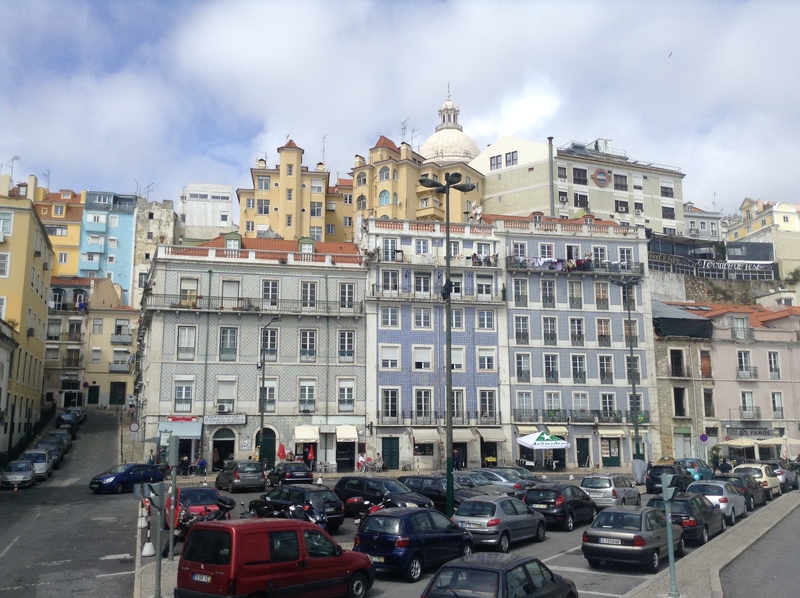 I had tried the Portuguese delight at a popular place frequented by tourists. The perfect brown fish cutlet is filled with melted cheese and has to be eaten with care. You fall in love instantaneously with Lisbon, while sipping wine on a disposable “I Love Lisbon” wine glass at the Torre de Belem. 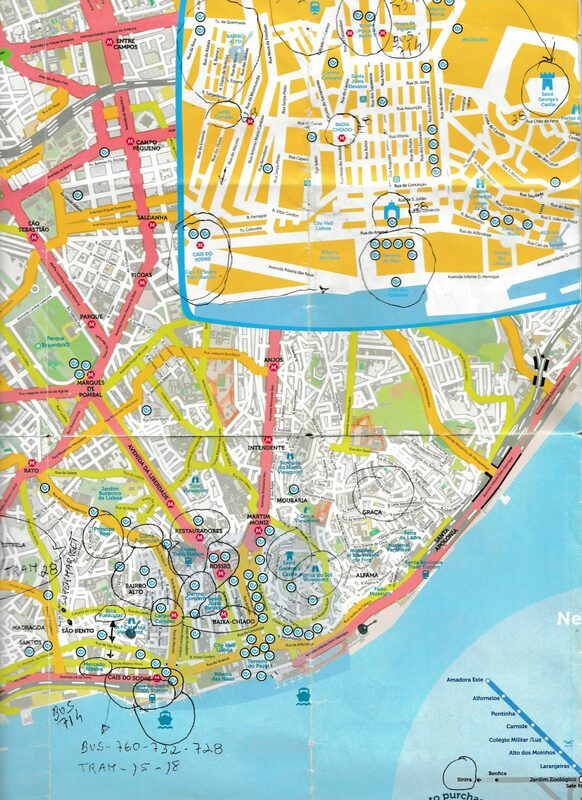 Strolling across the Bairro Alto or the upper neighborhood/district, you can find the best food at the best price. Just make sure to avoid the tourist traps. By tourist traps, I refer to those unscrupulous businesses that exist all around the world. Usually near the perpetual tourist attractions. Intending to only benefit from a location but not to deliver in terms of value. The rent could be high or the motivation to meet a threshold to have customers may be low. Soon we would find the best places as we dine with old friends in Lisbon. Later we would eat the best frango and wine near the train station at faro completely based on a intuitive hunch. Not always do you enter a place to be completely blown away with the service, quality and value. I discovered loads of trattoria in Italy where you can end up having a really good meal at lunch time at a great price. I really wanted to visit the Inside-out tower ever since I saw it on Business Insider. 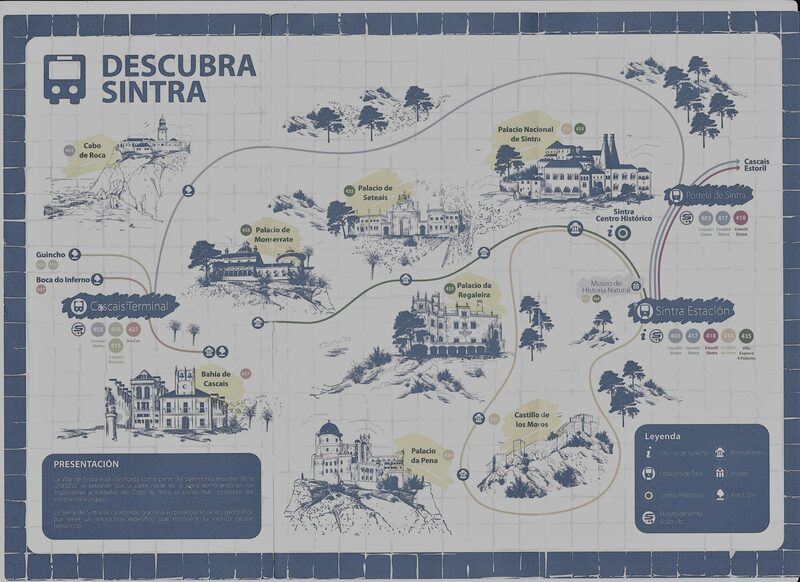 Our day at Sintra would bring us closer to Portuguese nature and interesting history of this magical land. 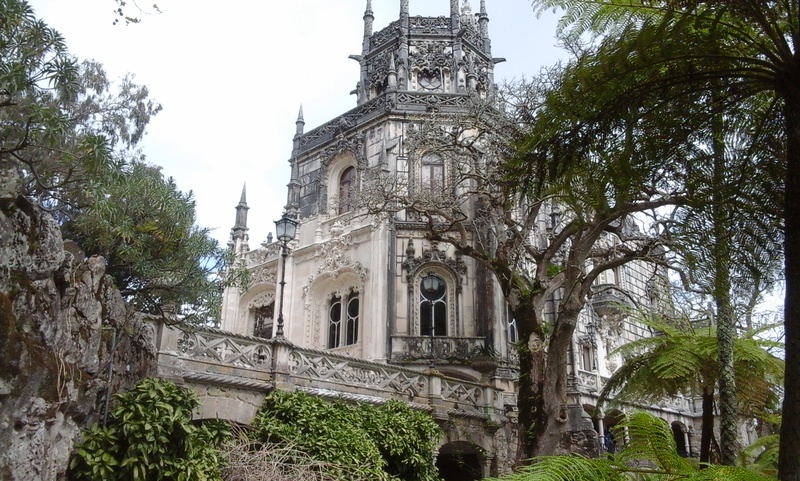 Quinta da Regaleria is where exactly what I would want for myself if I was a ruler. 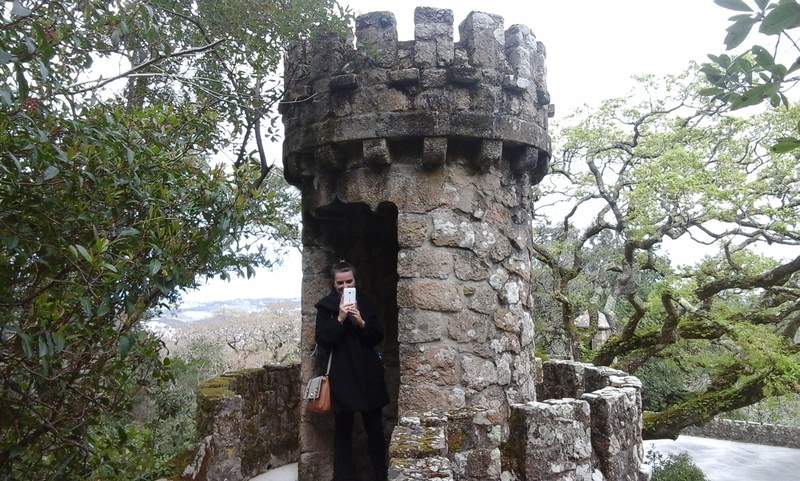 Amidst the nature, I was half expecting an elf from Lord of the Rings to appear out of the little tower. Rather its was just Fabie who has started writing her own blog. 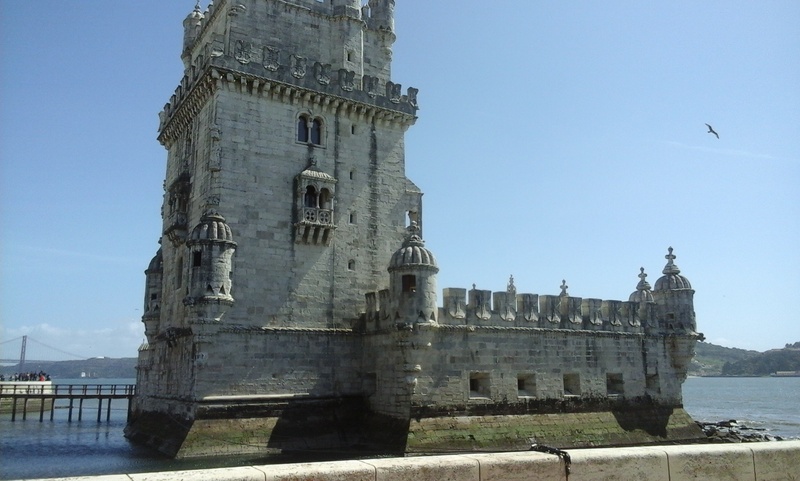 Truly a breathtaking romantic spot an hour away from Lisbon. 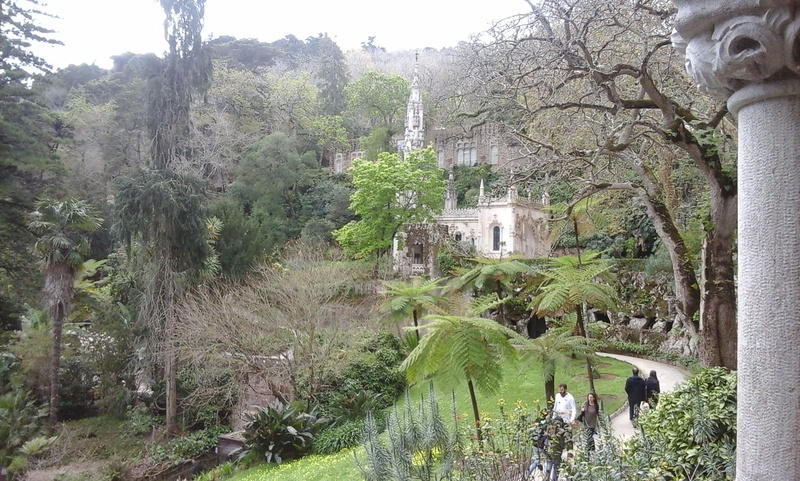 Most noteworthy, Sintra felt a bit like Cinque terre, with a bus taking you around 5 tourist towns/locations. 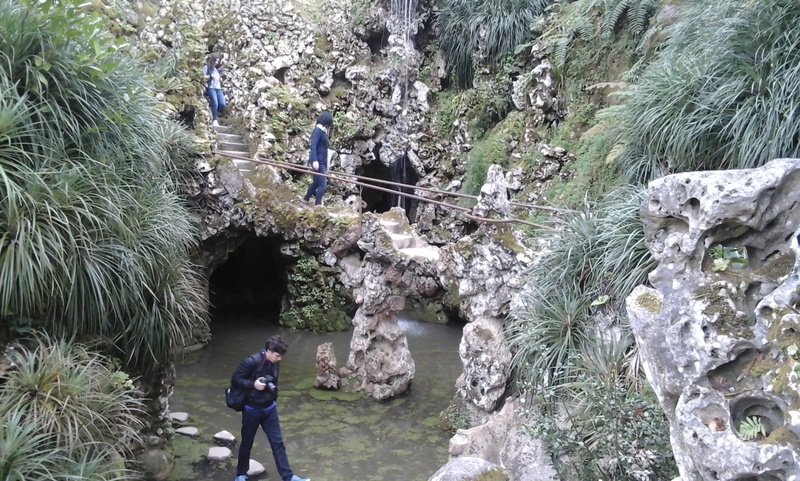 We however, opted to visit fewer places in more detail. Not wanting to tire ourselves and our wallets with the unnecessary entry fees. I prefer if entry fees would also serve as a coupon to get snacks as this would really motivate more people to shell 10+ Euros on every entry. Somehow, I was always hungry in Portugal. 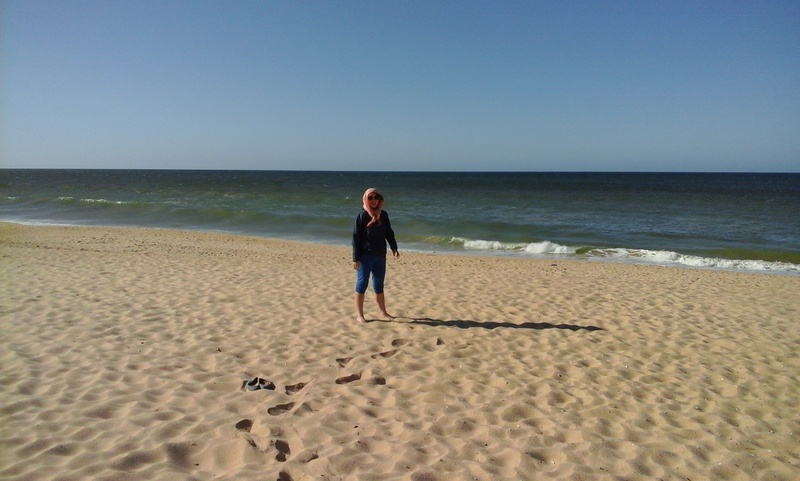 The final part of our trip was at the southern coast of Portugal. 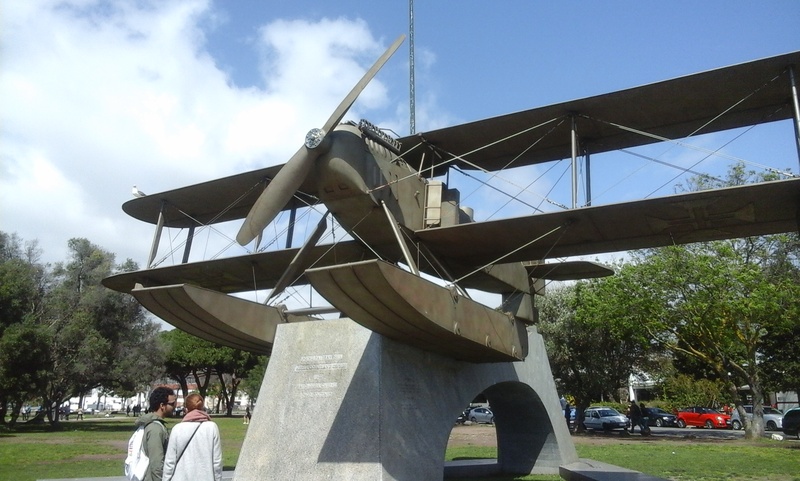 A place frequented by many tourists, thanks to the nearby Airport and the possibilities of surfing. 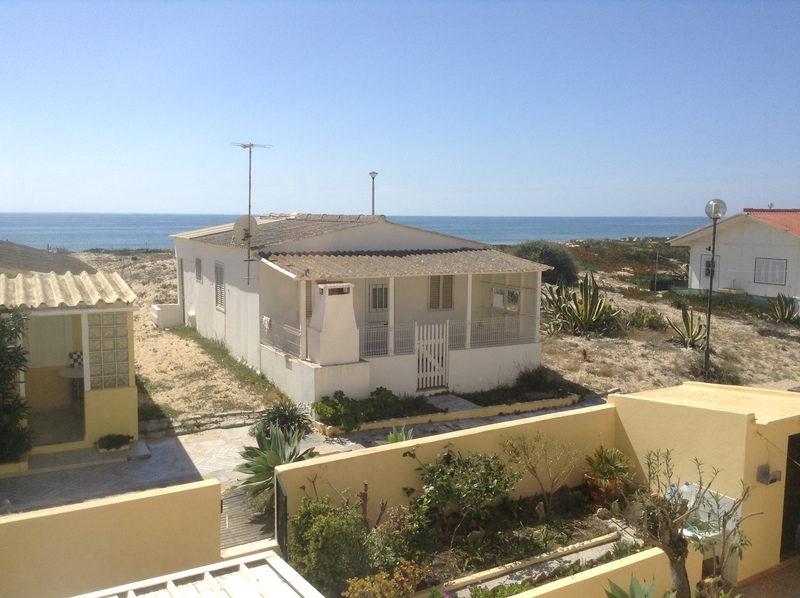 We had entered a different part of Portugal, sunny and deserted but charming. 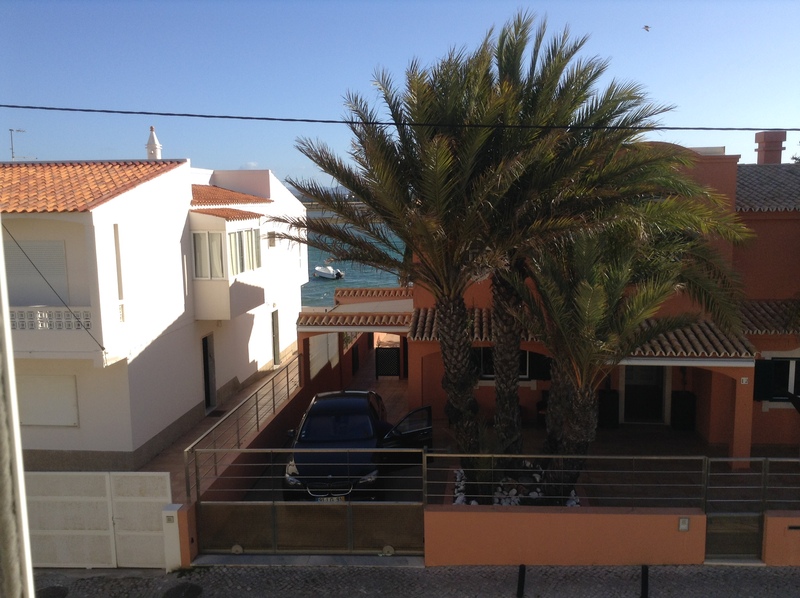 The cactus plant in front of our sea facing airbnb would have me scouting for tequila in Faro. The place had a very Mexican feel to it with all the sun, tan and cactus. I loved it! We had a great apartment with a nice exotic lagoon experience. A thin island that lay separated from the city by a Lagoon. Check the pictures below for the front and back views to see the sea water in both the sides. The food was so good and affordable around the beach. We did not hesitate to spoil ourselves to some fried fresh sardines prepared by the locals. Living in Italy for so long, I had nearly forgotten how a Domions Pizza, KFC Chicken or a Starbucks would taste like. Things are finally changing in Milan amid skepticism. I write this blog while munching on a Dominos Pizza like how I did in pre 2010 India. The fast food in Portugal seemed to have a lot of diversity in ingredients in it. We had everything from fish and chips and English Breakfast to rich fried noodles and delicious dessert. They made almost everything at the shack on the beach. A couple of meals at the same place finally motivated us to go for the authentic Portuguese sea food experience. The family run restaurant which had shipping accessories all across the walls had a very confusing menu. 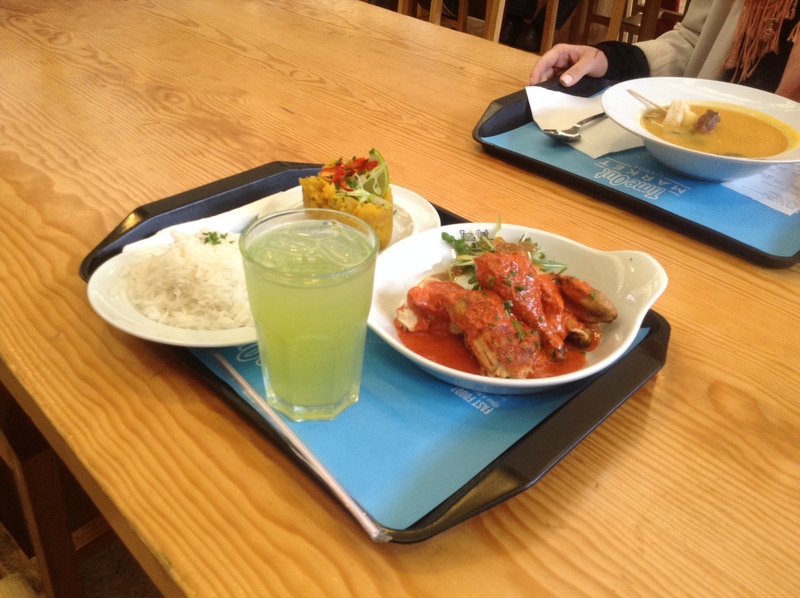 The food was really authentic and included fish soup in large quantities served with rice. We were served in a traditional looking silvery cutlery. I may have eaten a new fish that day, something big from the deep blue Atlantic. This was the kind of food you would eat on a journey across the globe in an old wooden ship. Finally on my pursuit to discover Vasco Da Gama’s home country, I almost get to eat like the Portuguese sailors.